Wiggle’s in-house clothing brand dhb have unveiled their new range of commuting clothing to keep you riding throughout the winter. The Flashlight range covers all the essential pieces of clothing for the year-round commuter, with each product featuring reflective text and logos to keep you visible on the roads after dark. 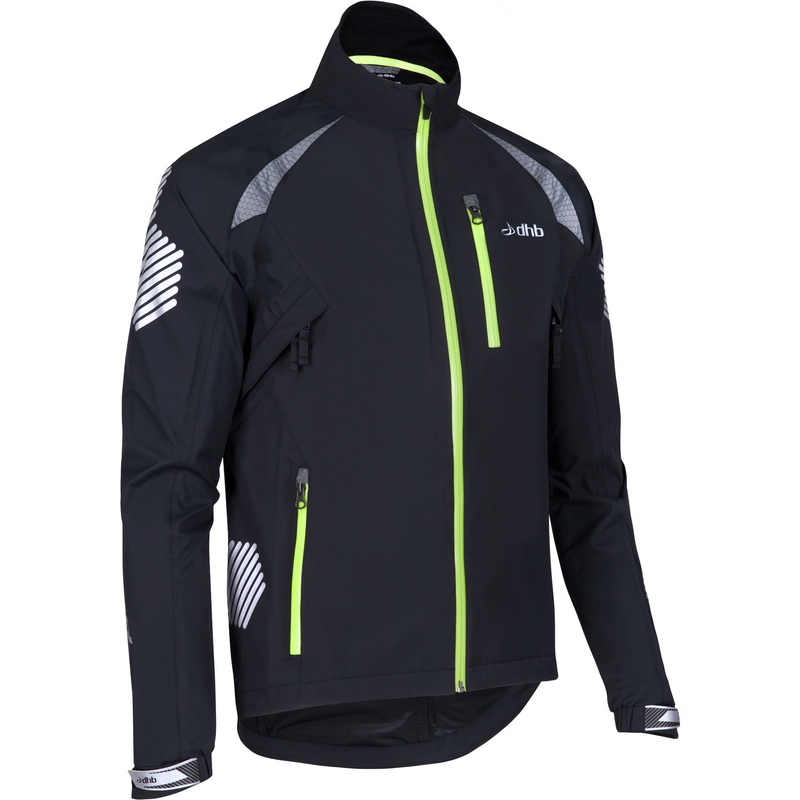 At the top of the new range is new Highline jacket. dhb claim that the jacket’s three layer construction will keep you warm and dry in the most extreme conditions, with velcro cuffs and adjustable drop hem sealing out the elements. As with all products in the range there are seperate versions for men and women, both of which are available for £84.99. Perhaps the most important piece of kit for the winter commuter is a high-viz jacket. The new range offers two models, the Compact and the Compact-XT which retail at £49.99 and £69.99 respectively. 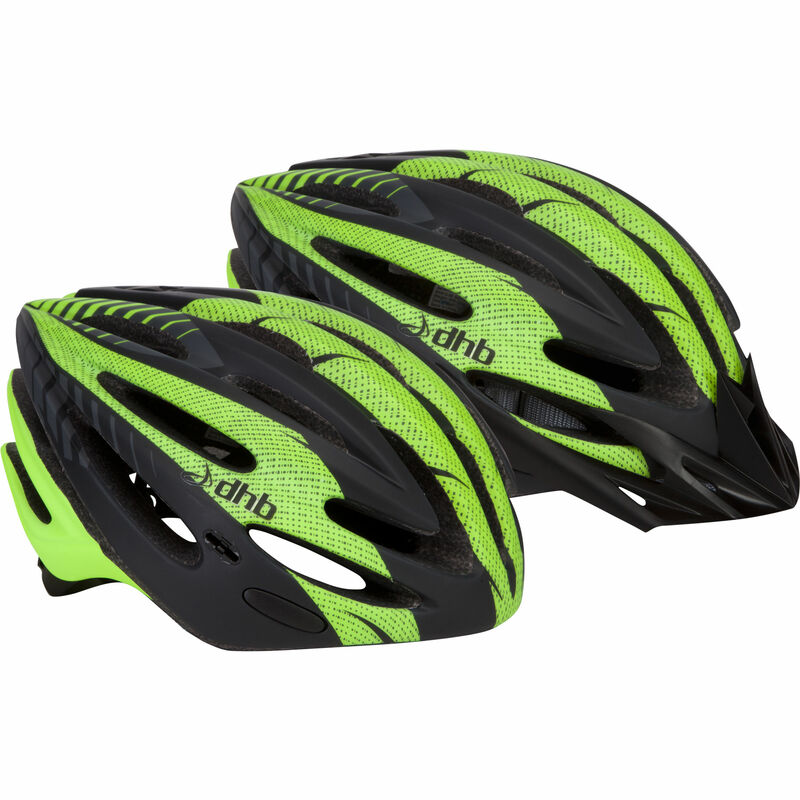 dhb promise excellent waterproof protection from both models, with the Compact-XT also including front and rear pockets with waterproof zippers. The new range also includes both long sleeve and short sleeve jerseys. 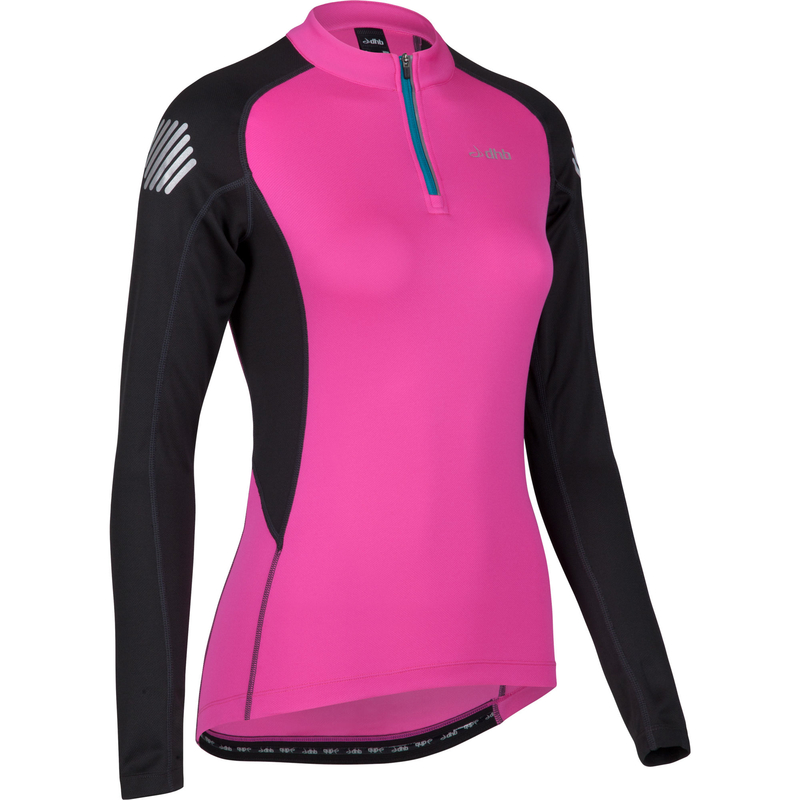 Priced at £34.99 for long sleeve and £29.99 for short sleeve, these could prove to be popular among riders reluctant to subject more expensive jerseys to the rub of a rucksack. All the jerseys feature three open rear pockets, plus a zipped, water-resistant pocket for valuables. There are also a full range of shorts and tights, both with and without bibs, priced at between £29.99 and £54.99. Keeping in mind the wet weather and mucky roads these are only available in black or grey, and, in common with shorts from the likes of Rapha and Assos, make use a CyTech chamois which dhb claim will be just as comfy over long winter training rides as on the daily commute. New arm warmers and socks complete the new dhb range, as well as a new high-viz version of the brand’s iON helmet. For more information, visit the Wiggle website.